Transformers are valuable equipment which make a major contribution to the supply security of a power system. Optimum design of the transformer protection ensures that any faults that may occur are cleared quickly and possible consequential damage is minimized. 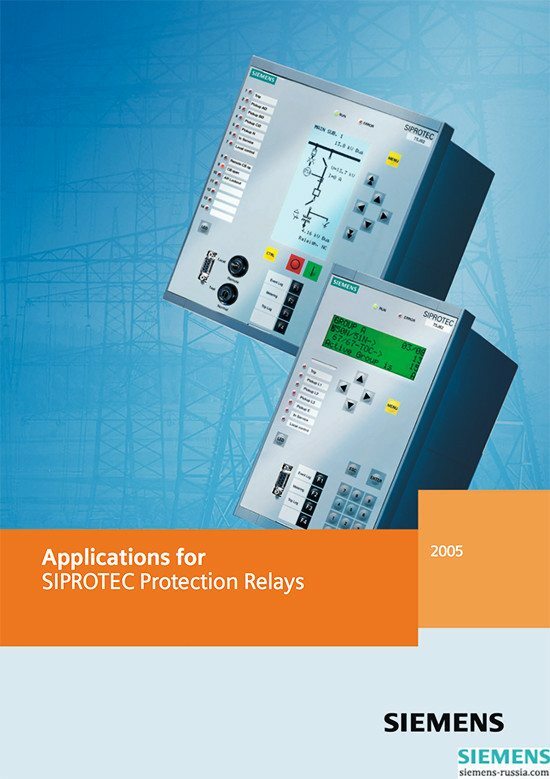 In addition to design notes, a complete setting example with SIPROTEC protection relays for a three-winding transformer in the transmission system is described. The range of high voltage transformers comprises small distribution system transformers (from 100 kVA) up to large transformers of several hundred MVA. Differential protection offers fast, selective short-circuit protection, alone or as a supplement to Buchholz protection. It is part of the standard equipment in larger units from about 5 MVA. Transformer differential protection contains a number of additional functions (matching to transformation ratio and vector group, restraint against inrush currents and overexcitation). Therefore it requires some fundamental consideration for configuration and selection of the setting values. The additional functions integrated per relay are advantageous. However, backup protection functions have to be arranged in separate hardware (other relay) for redundancy reasons. 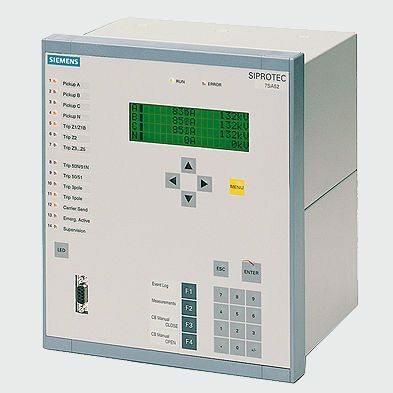 Therefore the overcurrent-time protection contained in the differential protection relay 7UT613 can only be used as backup protection against external faults in the connected power system. The backup protection for the transformer itself must be provided as a separate overcurrent relay (e.g. 7SJ602). 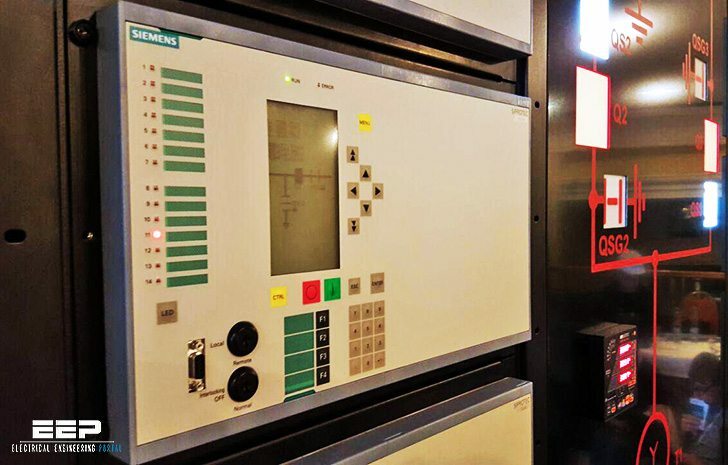 The Buchholz protection as fast short circuit protection is delivered with the transformer. Designations in accordance with ANSI (American National Standard) are used for the individual functions. The differential protection therefore has the ANSI No. 87 for example. 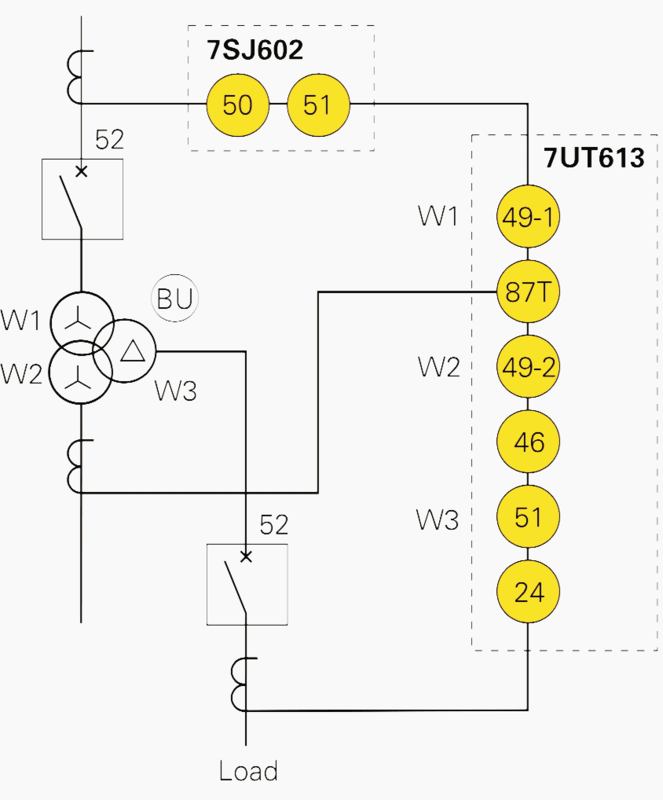 The 7UT613 differential protection relay is provided as independent, fast-acting short-circuit protection in addition to the Buchholz protection.